A fascinating, yet-unexplained scientific phenomenon shows that individual objects in the universe are not quite as separate as they seem. Once two objects interact, they remain connected in space and time in what Einstein called 'spooky action at a distance.' Could the same interaction explain psychic occurrences? Psychic researcher Dean Radin argues that human minds are likely interconnected or entangled in the same way, and this interconnected fabric of reality is the key to those puzzling yet profoundly meaningful experiences called psychic phenomena. ENTANGLED MINDS shows how science has rigorously demonstrated genuine psychic effects and why these phenomena are the next frontier in understanding who and what we are. 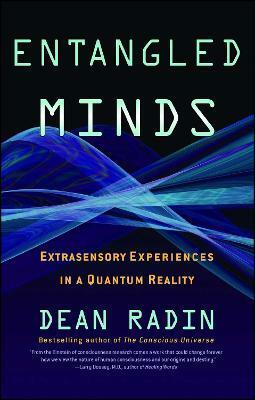 Dean Radin is Senior Scientist at the Institute of Noetic Sciences in Petaluma, California. He is in constant demand as a speaker on psychic phenomena at institutions such as Cambridge University's Cavendish Laboratory, the Royal Society of Arts, Harvard, Princeton and the American Statistical Association. He has written three previous books, including the award-winning THE CONSCIOUS UNIVERSE (HarperCollins).